These eco-friendly, high-power LED light bulbs offer up pure-white light and are available now for only $9.99 on our new online webstore. There are a variety of ways to utilize this light Including is a ring stand for tabletop usage and a ring clip for suspended lighting. This unique design allows the solar panel to be tilted toward the sun for optimum charging time. 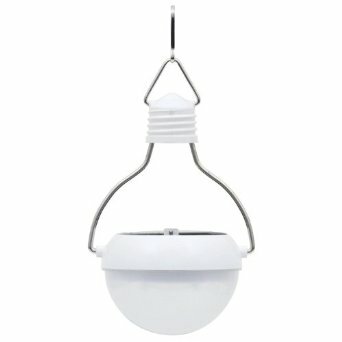 This light features a pleasing white light with no UV spectrum preventing attracting mosquitoes. They are durable, portable, and rainproof. Easy to pack and lightweight with a small footprint. This durable design ensures damage free transfer. Can also be used as a flashlight.